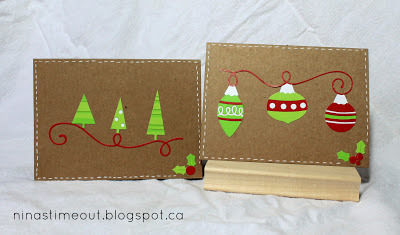 Nina's Time Out: Christmas Cards! I'm a little late starting this year, but I am finally getting some Christmas cards made! Here a couple of quick ones I did the other day. I'm working on a whole stack of stamped and embossed ones right now. I can't wait to share them! Super cute, Nina! I love simple and sweet!